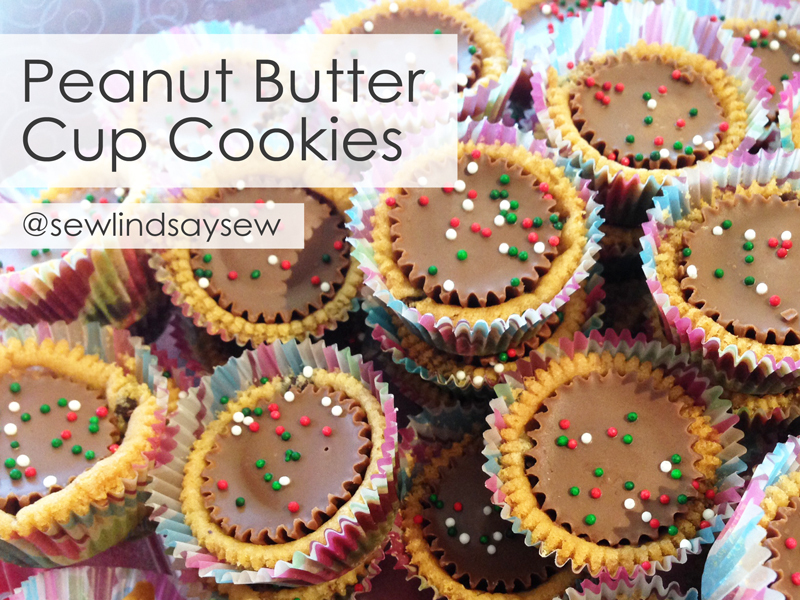 Peanut Butter Cup Cookie Magic | Sew Lindsay, Sew! I recently made some peanut butter cup cookies for work and promised co-workers that I’d share the recipe. I could have just sent an e-mail, but I thought a photo tutorial blog post with pretty pictures would be more inspirational! These cookies have been an old family favorite for a long time. My family always brought them to school, work and neighborhood parties. They’re a great way to make friends because they’re always a hit. ALWAYS! Plus, they’re ridiculously easy and travel well. Enjoy! 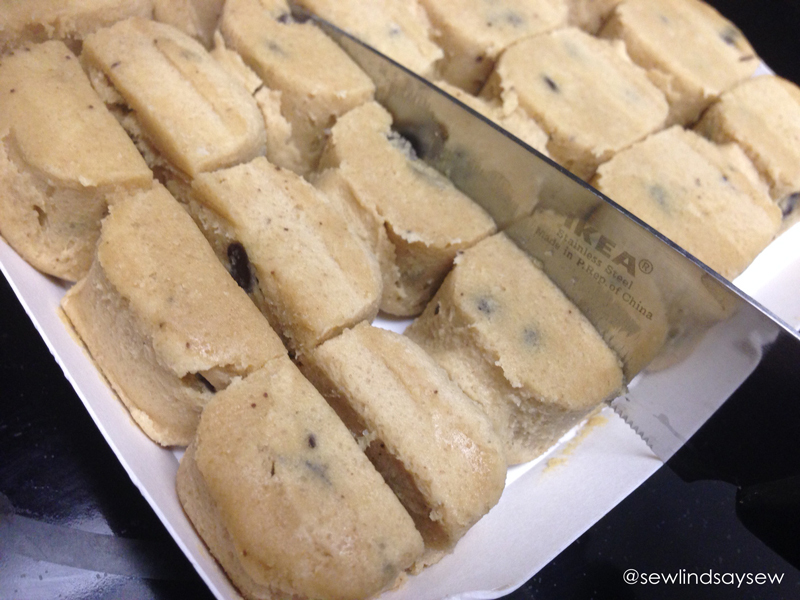 Cut each chunk of pre-made cookie dough in half. 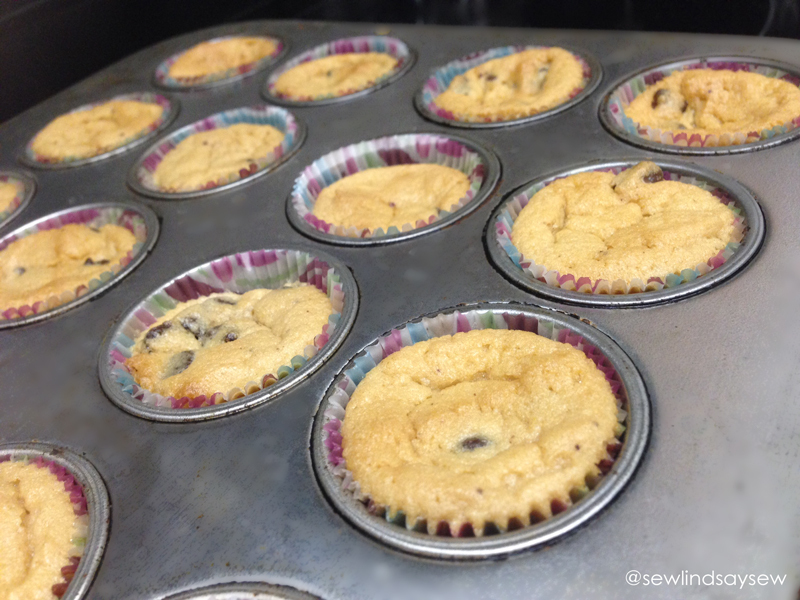 Line the mini muffin tin with paper cups and drop one chunk half into each paper cup. Don’t make it complicated by pushing the dough down to form to the shape of the cup or anything – if you do, the cookies will burn. Just drop the chunks in there. Then move on! 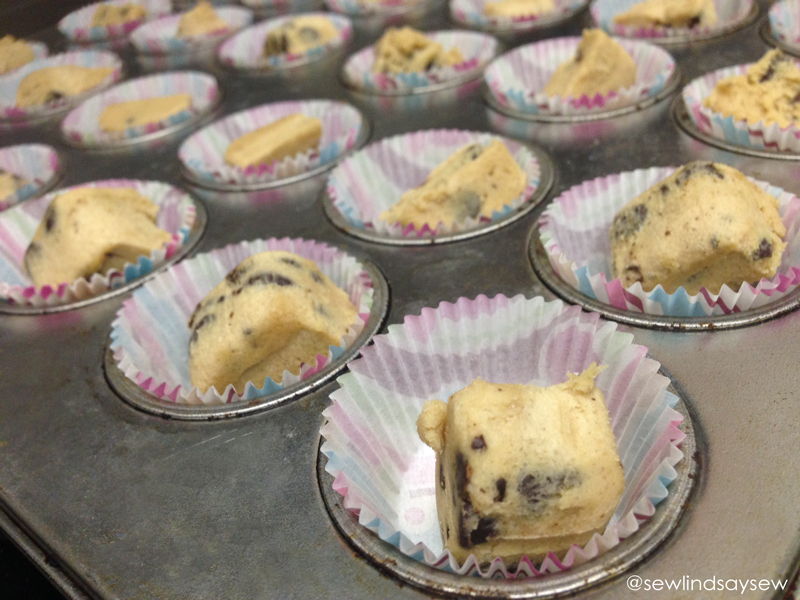 Bake according to the directions on the cookie dough package – usually around 350 degrees for 12-14 minutes. 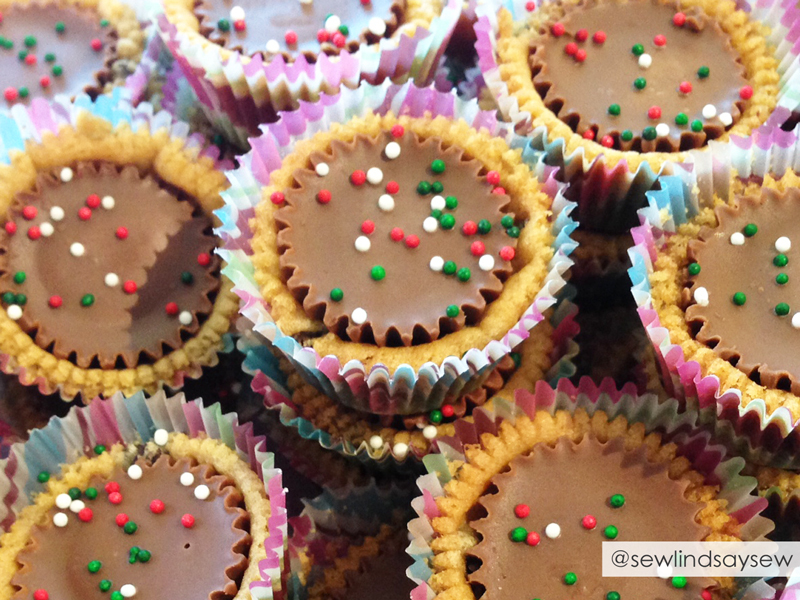 While the dough is baking in the oven, unwrap lots of peanut butter cups! 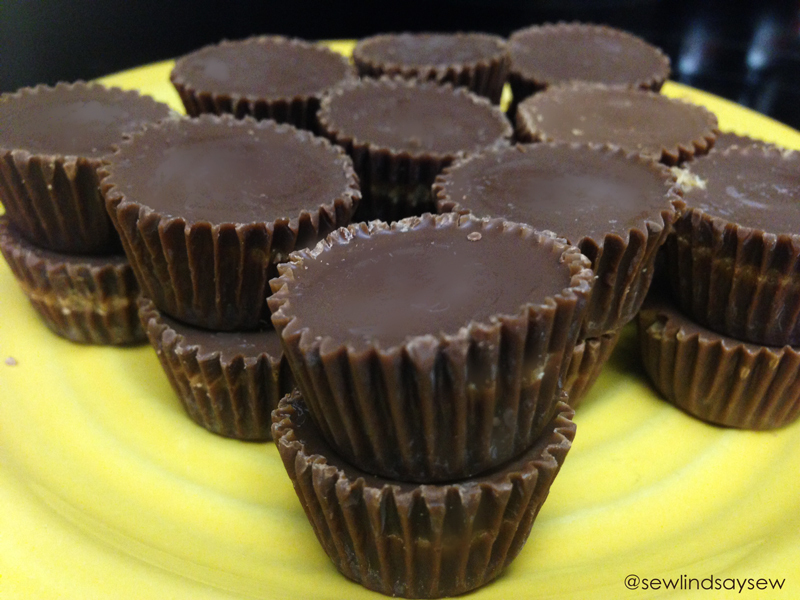 I like to store my peanut butter cups in the freezer – I find that they’re easier to unwrap when they’re frozen, but maybe that’s just because I live in Florida where chocolate is always melty. When the cookie dough look golden brown-ish, take it out of the oven. 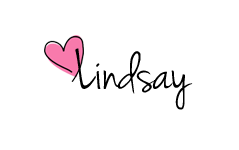 The cups will look like this. 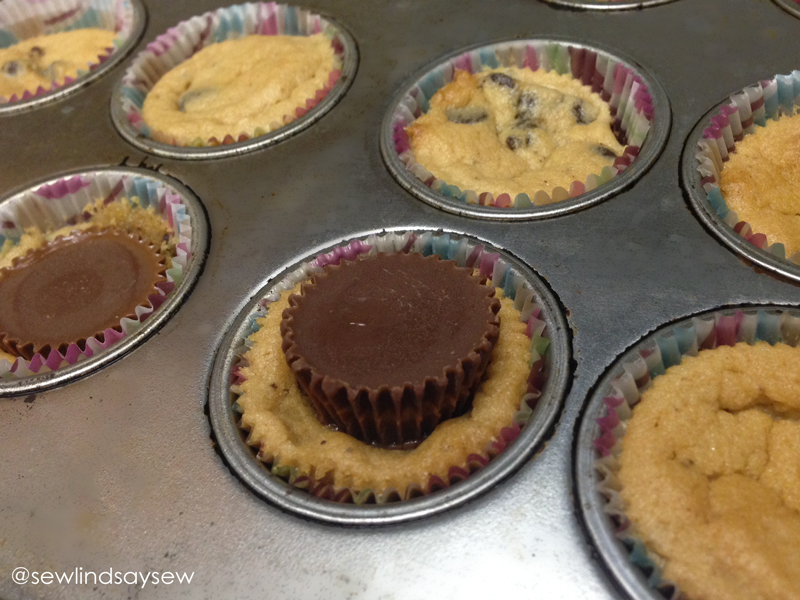 Push a peanut butter cup down into the middle of the cookie. You have to work fast while the dough is still soft! That’s why it’s important to unwrap all of the peanut butter cups while you’re waiting so that they’re ready to go. The pressure’s on! 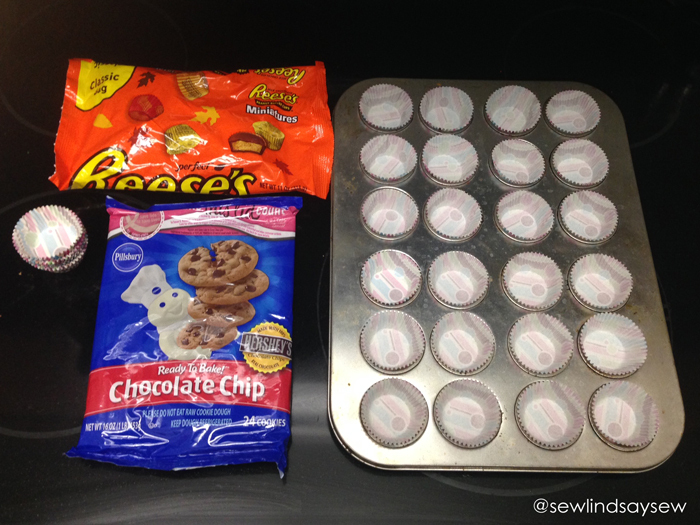 I like to put the whole tray back in the warm oven for about 20-30 seconds to make sure the top of the peanut butter cup melts evenly… it makes the cookies look a little nicer and ensures that the sprinkles will stick! These cookies are difficult to eat while warm. Let them cool down to room temperature, or put them in the fridge to harden a bit. They stack easily in a Tupperware once the chocolate has hardened in the fridge. The fun thing about these cookies is that you can experiment with all sorts of cookie dough types and candy, but I think this combo is the best. If you try out any new, magical combinations, let me know about them in the comments below!